And all of that for free and within about 20 minutes. You will probably call B.S and I won’t blame you. These kinds of claims only live on Alex Becker’s old VSL’s and a few terrible Clickbank products. 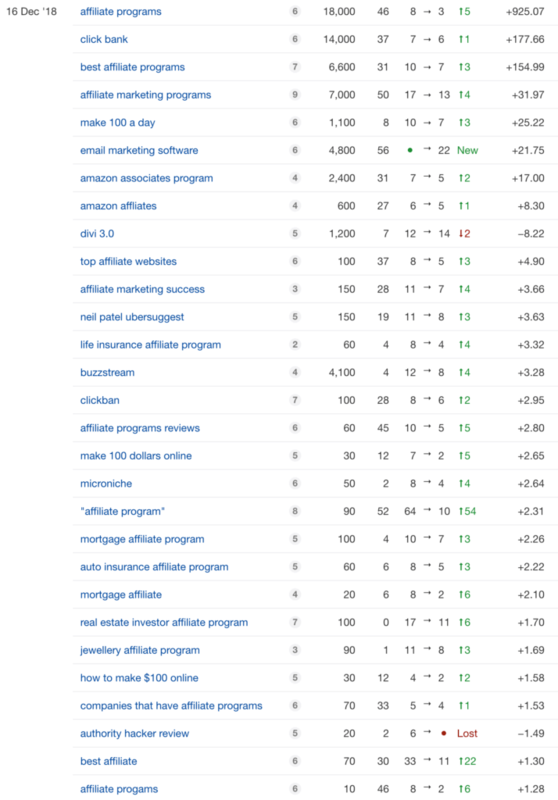 Yet, we have applied the trick I am going to show you on the Authority Hacker blog and here is what our ranking movements looked like 2 days later on Ahrefs (our review). Our rankings after the technical tweak I will show you in this post. Actually, this is one of the many on page tests we have been running since coming back from conferences in Asia and despite publishing absolutely no new content, we’ve managed to push our organic traffic up by more than 50% partially due to the hack I am about to share with you. I will say though, this tip only rank for already existing content that has a bit of traction in Google. If you are nowhere to be seen in the top 5 pages or you don’t have a website yet, you will still learn something useful in this post but you will not get the instant gains existing site owners will get. If you are a mature site owner, you probably know this graph oh too well. You build a hit piece of content that gets you great traffic for years. 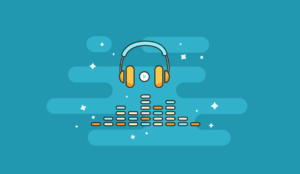 And as time passes, competition intensifies, the content gets a bit out of date, and slowly but surely, your traffic erodes down to much lower amounts than what they used to be. Sad, sad indeed but this is a really common scenario. A large part of that is due to the way Google handles content freshness. 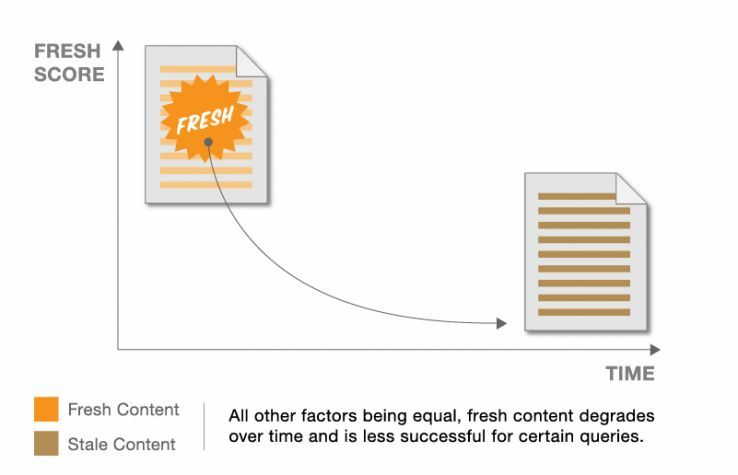 Google is biased to give more exposure to fresh content *all other metrics being equal*. Illustration from Cyrus Shepard’s excellent post on the MOZ blog. 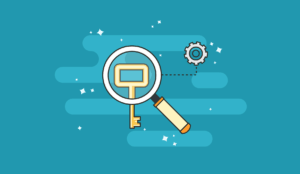 What that means for you is that as your content age, it’s search visibility will decay unless you ongoingly acquire links and other strong signals that show it is still relevant. This is a big part of why Updating old content has become an almost hotter strategy than publishing new content in 2018. 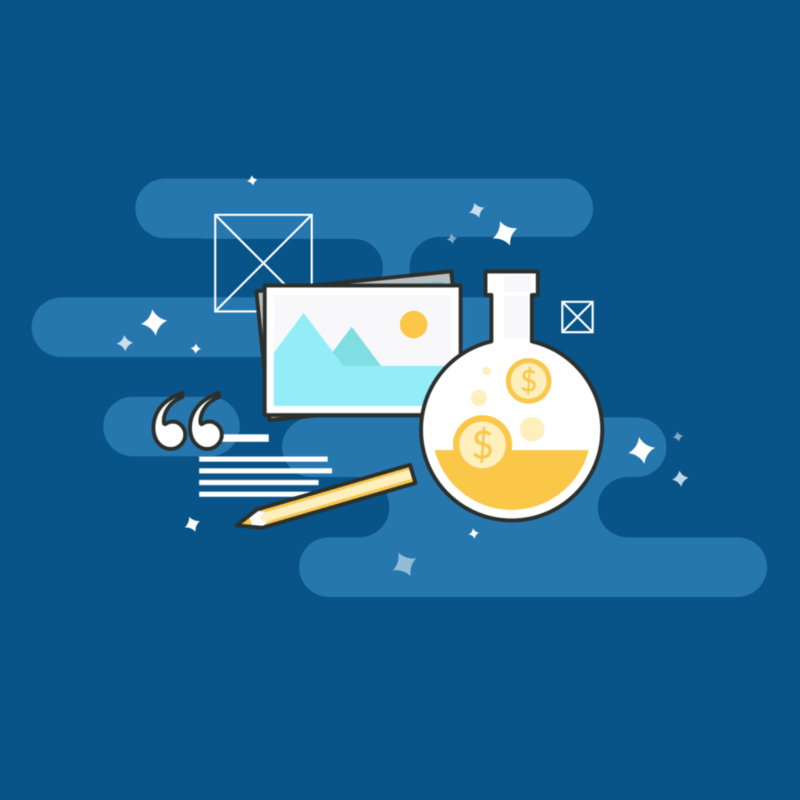 Because after a certain critical mass of content, updating old content yields higher returns that publishing new pieces for publishers. On most people’s websites, when you update content, it’s almost invisible. Regardless of how many times Glen updates his content, Most WordPress sites will show the publish date. And while Google does reindex the content and pushes it back up to some extent if enough of it is new. If the publish date displayed on the front end of your site is still the original publish date of your post, you will NOT get the full ranking boost you deserve. 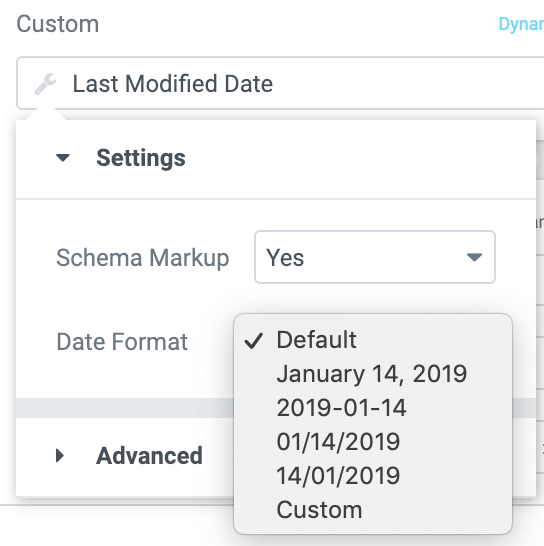 WordPress does usually serve last Updated dates via Schema but when the original publish date is present on the page, Google does seem to use this data over the last update date. PRO Tip: You can test the schema of any page on Google’s free schema testing tool. So what if we stopped providing publish date at all to Google but served updated dates only? Would recency have a stronger effect on content updates? Authority Hacker was the perfect storm to try this hypothesis. You can install it by looking for it in the plugin search engine inside WordPress. 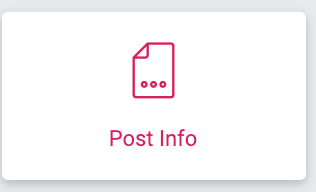 We only enabled it for posts because they’re the only “real” content we post on this site but the page options and Template tag options look similar. 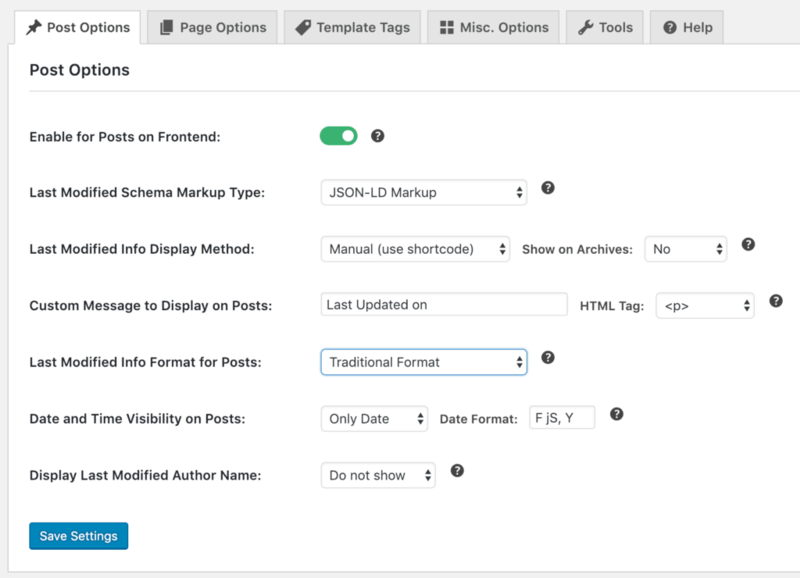 If you want the plugin to work properly you will need to enable it on post frontend AND enable the schema markup for your posts. You then need to select the display method. You can either automatically insert it before/after the content but then it will not replace your publish date. Or you can use the manual option which is what we prefer using. As you can see, after this change, only the last updated date is served on the front end of the site and through the schema data. And here is what happened to the search results, they magically updated to the last publish date. Does this mean the Freshness algorithm also kicked in? Yep, the page returned to its former traffic glory. I did rewrite the introduction and fixed some broken links to it as well but the revamp was very minor. Additionally, since I edited the template, I also saw many pages that did not get any update this round get massive ranking increases. So if you have aging content, it will receive a massive freshness ranking boost. 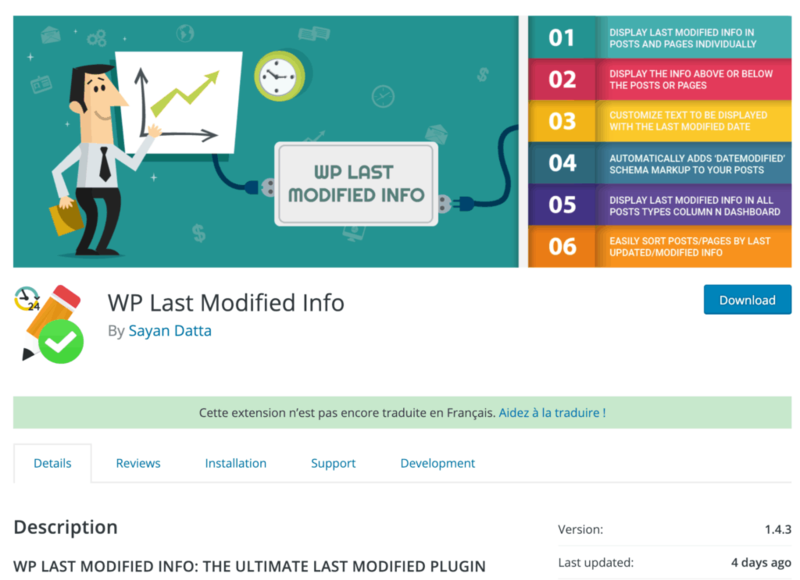 The great news as well is that every time you will go in WordPress, update your content and click the update button, the plugin will automatically update the “last updated date”. Meaning that you will get a full ranking boost every time you spend time and energy keeping your content up to date and without any extra work. According to Webmaster’s Console, we managed to 3x the click through rate of this page. I must say this experiment along with many others I have been running in the past few months have fundamentally changed my view of how Google works. I used to be on the side of those who said “Google is smart enough to figure good content out” or “These tactics probably don’t have a big impact:. We have experienced massive traffic growth over the past few weeks on multiple sites applying small technical tweaks that did not make our content better, just more in line with what Google seems to like. Does this mean our content quality will drop? If you want to convince the humans that read you to take action, you need to bring your A game anyway. And we will only use this tactic when we actually update our content. 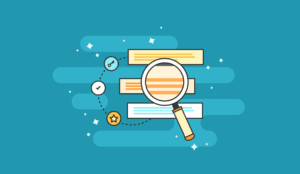 However, there really is an extra layer of work that needs to be done on content for it to reach its full potential on search. Maybe I’ll share a few of these other tweaks here on the blog. Let me know in the comments if you are interested :).